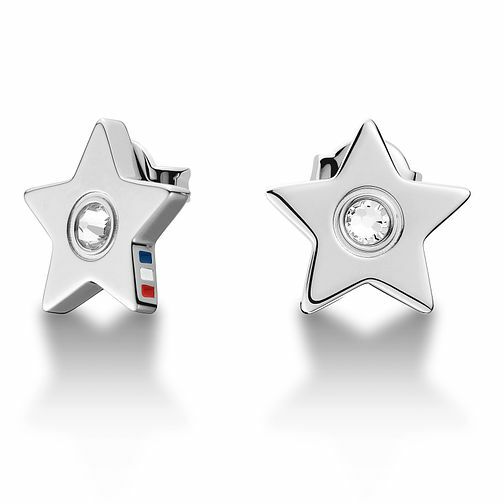 A pair of shining star stud earrings by Tommy Hilfiger. Made of stainless steel, this elegant pair of studs are set with a clear crystal, and the signatureTommy Hilfiger flag stripe on the side. Understated elegance by Tommy.